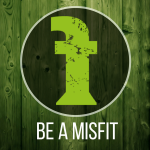 Misfit Interactive is a web solutions company in Downtown Gettysburg dedicated to providing affordable solutions for Small Business. From Web Design & Maintenance to search engine optimization (SEO) and Social Marketing, and event Web Hosting or Print/Graphic Design. We are a full service agency that lives and works in Gettysburg, so we are very familiar with the locals!